Our collection of Thanksgiving photo cards & Thanksgiving invitations went live today! I am so excited to share a few of the designs with you, I seem to catch myself just staring at them throughout the day. Fall is my favorite season of the year. I love the colors, the weather, and of course, the food on Thanksgiving day! Here are a Thanksgiving card ideas to get you thinking, but make sure to see all of the Thanksgiving photo cards & Thanksgiving invitations. Thankful Sketches Thanksgiving Photo Cards – perfect way to share photos and a special message. 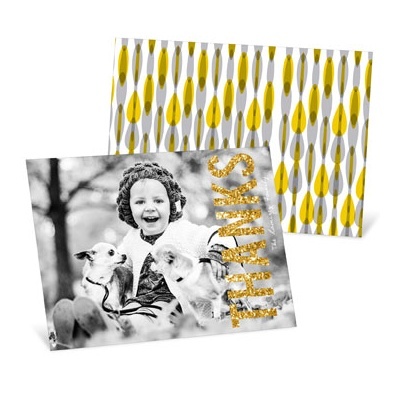 Gold Thanks Thanksgiving Photo Cards – adds a wonderful sparkle to this year’s Thanksgiving card. 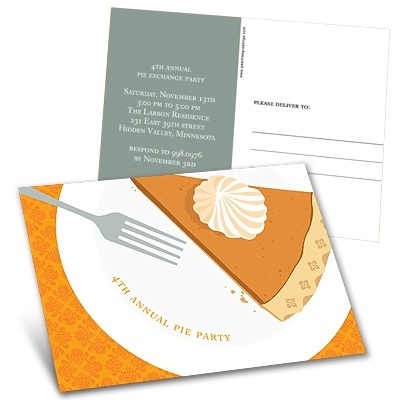 A Piece of the Pie Thanksgiving Invitation – invite guests to a pie exchange or Thanksgiving party with these fun invitations! I hope you enjoy the collection of Thanksgiving photo cards and Thanksgiving Invitations as much as we do! For more Thanksgiving ideas, keep reading our blog.